The Black Butte School has made their own red worm farm where we compost certain foods and hope to help our ecosystem. 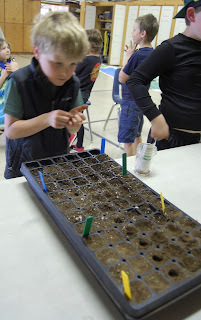 Just recently, the we started an experiment where we planted different plants in four different kinds of soil. The various soils are: local (dirt that comes from right by our school), potting soil (from our local stores here in sisters), vermiculture, and a special mix between the vermiculture and potting soil. “What’s vermiculture?” you ask. Well, vermiculture is pretty much worm poo. Yep, i just said it. Worm poo. 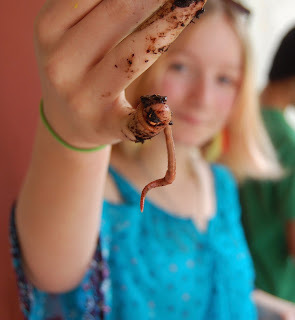 A fun fact is that every piece of soil on planet earth has gone through a worm’s digestive system. So far, we have two bins filled with worms and compost. We are so excited to see how our plants and compost/worms turn out and that we can continue our collection for the next years to come. Maybe we will even build a garden! If you are interested in making your own worm bin, here is what you need: a bin (make sure to poke holes in the bin’s lid and bottom), a water catcher (for underneath the bin), bedding (peat moss and shredded newspapers). You will also of course need food for the worms such as kitchen greens, vegetable scrapings from plates, potato peels and other vegetable peels, fruit (but not citrus), egg shells crushed, cereal, grain and grain products, and tea bags and coffee grounds. Worms don't like to eat dairy products, meat, citrus, or plants in the onion family (onions and garlic), which are antibacterial. Worms mainly eat the bacteria that grow to breakdown the plants, so antibacterial foods wont work! 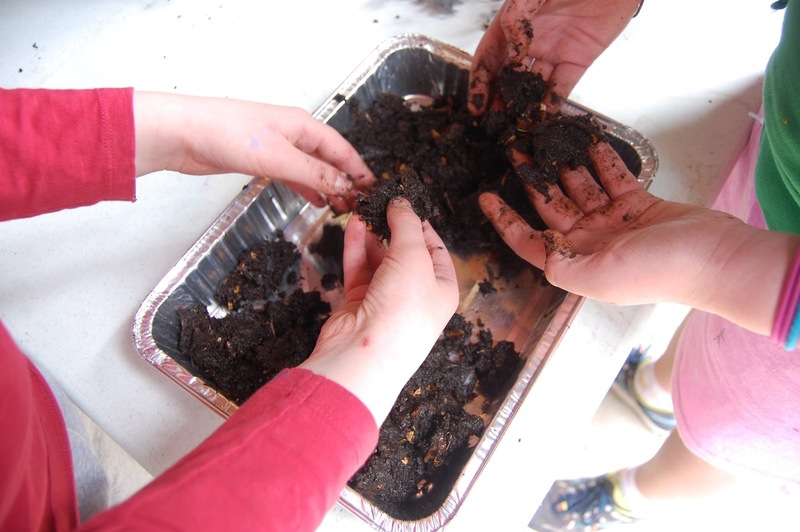 For more detailed information on making a worm bin check out this article on Mother Earth News.